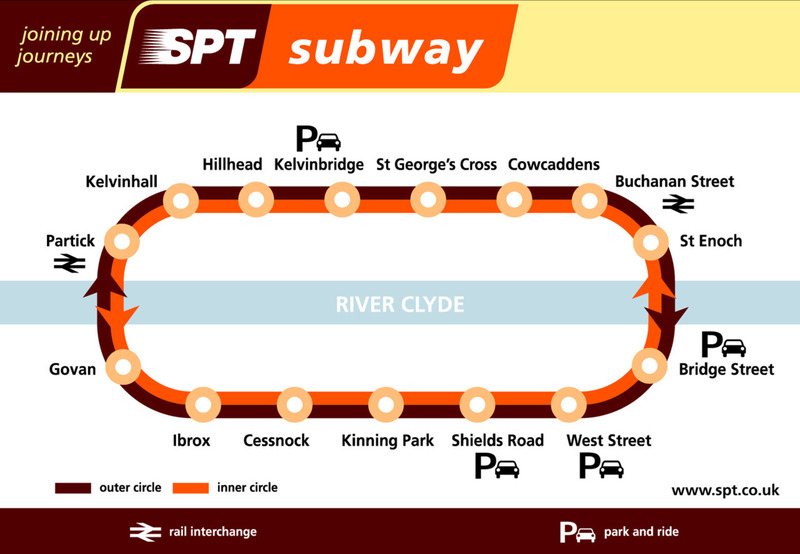 The design of the Glasgow subway system may be a thing of satisfying, circular simplicity compared to, say, the sprawling mass of the London tube system, but it's never really been that pretty to look at, has it? Sadly, the radical redesign pictured above (which we encourage you to check out in all its glory) isn't an official makeover, but rather part of an ongoing project by psychologist and map-maker Max Roberts of TubeMapCentral.com. Roberts has dedicated a lot of his time to re-imagining maps for subway systems around the world, including Berlin, Paris and New York. He's also designed several maps of the London underground, including one inspired by Charles Rennie Mackintosh - when it received a particularly positive response, he decided to see how well it'd apply to the city (and surrounding area) of Mackintosh's birth. Conceived by Roberts as 'something quirky and attractive rather than usable and consistent', the map applies Mackintosh's signature tetralinear style to the greater Glasgow rail network, stretching from Balloch and Milngavie in the north to Girvan and New Cumknock in the south, and from Gourock and Largs in the west to Shotts, Cumbernauld and Croy in the east. In addition to being a damn sight prettier than SPT's maroon and orange design, the central subway section up in the main pic is also 'a little bit more geographically correct then the official version', though we still wouldn't recommend using it to find your way around. So what do you think? Would you rather see Roberts' work plastering the Subway walls, or should it be consigned to design dustbin with the other Mockintosh pretenders? As ever, your thoughts are welcomed in the comments. See the whole map online, and check out more of Roberts' work at TubeMapCentral.com.